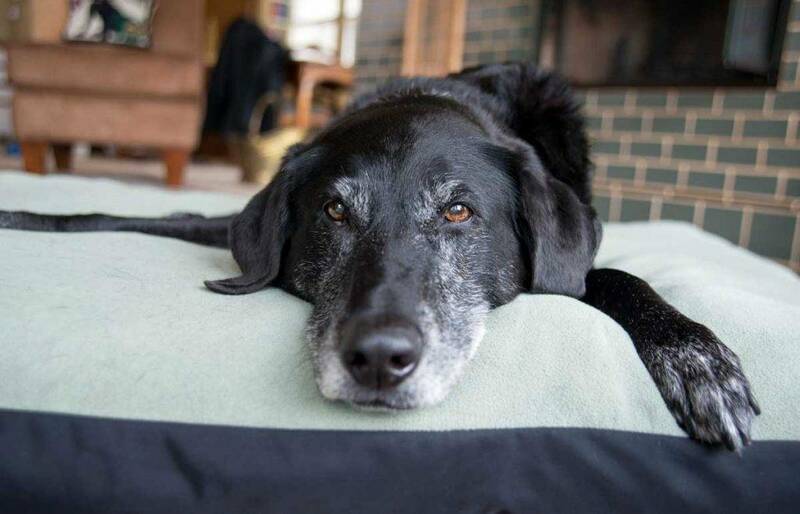 Getting older… it’s something that all our pets face, as well as all us humans! And while getting wiser could be considered one upside of becoming more ‘mature’, increased joint pain and potentially even arthritis is unfortunately a possible (if not probable) downside. Joint pain and stiffness is one of the most common ailments in dogs and although it is often associated with older, large-breed dogs, it can also affect younger dogs. While dogs are more susceptible to arthritis than cats, our elderly feline friends can also suffer in their later years, so it’s important to watch out for signs in your cat too. There are many causes of joint pain and arthritis in pets from hereditary conditions such as hip dysplasia (which is particularly common in some specific breeds of dogs such as German Shepherds) to the continual aggravation of old injuries. If you suspect that your pet has joint problems, a visit to your veterinarian will confirm a diagnosis and eliminate any underlying conditions. Subsequently, there are several key steps to take to help keep your pet as comfortable and as pain-free as possible. A healthy diet for weight management. Joint pain is more of a problem in obese pets as excess weight puts additional stress on joints and reduces their mobility. Weigh your pet regularly, so you can easily notice and address any fluctuations. A healthy diet is a key starting point for life-long joint health, so ensure that your pet is receiving a healthy, balanced diet. Adding joint-supporting dietary supplements such as chondroitin and glucosamine can be beneficial, as well. However, we do recommend you consult your vet before starting your pet on a supplement regimen. Plenty of water in the diet. Uric acid forms naturally in the body and is expelled in the urine. If your pet is dehydrated, they won't have enough urine to expel the acid, which can then settle in joints as sharp crystals that cause severe joint pain. Making sure your pet has enough water to stay hydrated and keep their kidneys flushed and healthy can greatly reduce that risk. A little exercise — strenuous exercise can cause damage to your pets’ joints – particularly if they are out of shape and not used to it. However, regular, light exercise is crucial for continued joint mobility as it helps to keep things moving and will strengthen the muscles and ligaments around affected joints. One trick we find that works particularly well in dogs with arthritis is to walk them once until you notice that they are slowing down, but not at the point where your dog is unable to continue or in extra pain, taking notice of the distance at which that point is reached. Then split that total distance into a few shorter walks over the day. This will help to avoid aggravating the arthritis but give your dog enough exercise to keep limber. Sleeping – A soft but supportive bed to lie on will make your pet more comfortable and help ensure that he or she gets adequate rest time, which is essential for healing and recuperation. Warmth – Ensure that your pet is in a warm environment by placing the bed near a source of heat and away from drafts, as cold, damp weather can cause flare-ups. If you live in a cooler environment, consider slipping a sweater on your pet and investing in a good waterproof dog coat for your outdoor activities, particularly with the winter months approaching. If your dog swims (especially in cold water), don’t forget to use a towel or drying mitts to dry their coat afterwards. Wool is also a great fabric to use for helping with arthritis as it is extremely warm, wicks moisture from the skin and can help keep out damp air. Just be careful that your pet is not sensitive to wool, or they may find it itchy. There are few things as soul-lifting than the love of a dog with a stately grey chin or a devoted cat who’s tested the majority of his nine lives. We owe it to our pets to keep them happy and healthy well into their latter years and understanding how to avoid and alleviate joint pain is a crucial starting point. Fleas in Washington State; Get the jump on them before they get the jump on you! New Year's Resolutions: Pet Edition! Community Partner Spotlight: Monroe Cold Weather Shelter! Sam's Brands Star Spotlight: Ziwi Peak!